After 35 distinguished years as Director of the Residential Treatment Center in its former setting, Dr. Yecheskiel (Chezzi) Cohen joined its Executive Board in 1997 as Chairman and as of 2016 retains an Emeritus position. 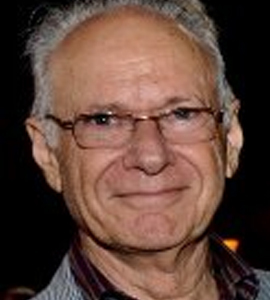 Dr. Chezzi Cohen, born in Germany in 1932 and making aliyah to Israel in 1938, commenced his tenure at the JHTC in 1957. Dr. Chezzi Cohen initiated and developed the innovative treatment methods that have made the Children's Home the leading facility in Israel for residential care and have earned the JHTC international praise. Dr. Cohen holds a B.A. in Education and Psychology, an M.A. in Psychology and Special Education, and a Ph.D. in Psychology. He is an Israel Psychoanalytic Society board certified psychoanalyst. Dr. Cohen taught for many years at the Hebrew University's School of Social Work and Department of Psychology, and is frequently invited to lecture on residential care at conferences and seminars in Israel and abroad. He is a senior member of the Israel Psychoanalytic Society teaching staff as well as a former president and treasurer. His pioneering work in the field of residential care has earned Dr. Cohen numerous awards and honors, and he is frequently requested to share his expertise with government committees and public bodies. He has written countless articles that have contributed new insights to the treatment of at-risk children and youth. A unique training manual, Therapy in Life Space: a collection of papers on residential treatment (Hebrew), published by the Children's Home in honor of Dr. Chezzi Cohen, includes some of his major writings, the fruit of decades of accumulated experience in the residential care of children-at-risk. This training manual is used extensively by childcare professionals throughout Israel.